We offer a range of Budget Websites starting at £300, each website comes with a Content Management System so you can upload images and make changes to the text, we will sit with you and teach you how to change things. 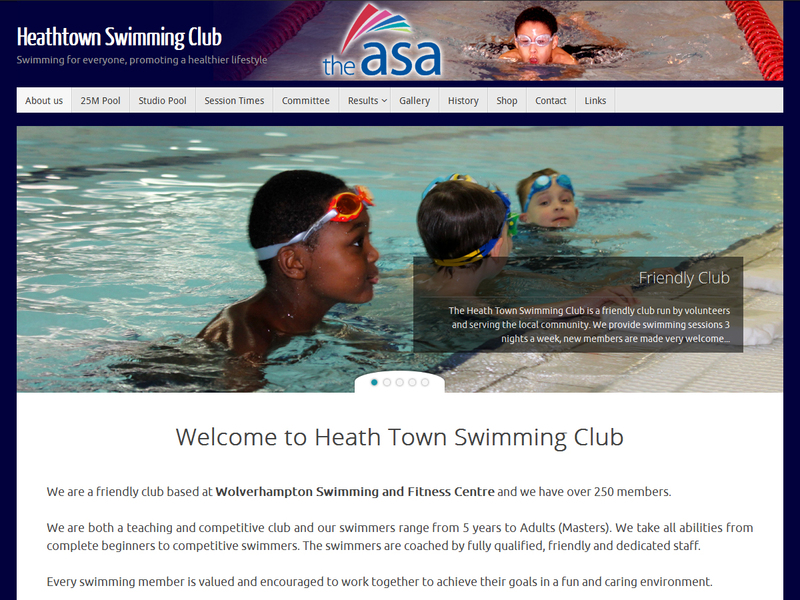 This website was designed for Heath Town Swimming Club to help promote the club and a Healthy Lifestyle in the Wolverhampton area. The swimming club has a long history in the area, and is now based in Wolverhampton Swimming and Fitness Centre.